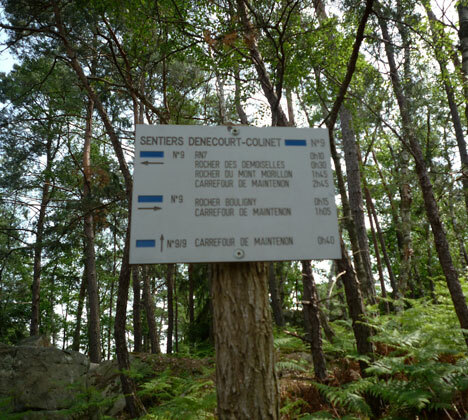 from Fontainebleau, follow the D607 (ex N7) from Le Carrefour de l'Obélisque and turn back at the next crossing in order to park the car on the Eastern side of the road, 150m to the North of the aqueduct. 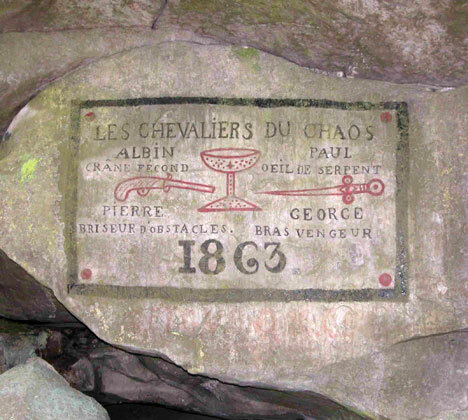 The boulders of the two main sectors are located on both sides of La Route Pompadour (first path on the right of La Route d'Occident). Many other boulders have been opened recently near the crest, along the blue path. For some of them, it is convenient to park the car on the other side, at Le Carrefour du Rocher aux Nymphes, on the D58.